It’s wintertime and that means that if you live in the northern hemisphere, it’s likely dark when you’re running. You’re getting out early in the morning before the world wakes or you’re barreling out after work looking to shed the stress of the day. Either way you are probably running in the dark and that means a few different issues. First, you need to be seen. Most running-specific clothes these days have highly reflective areas. 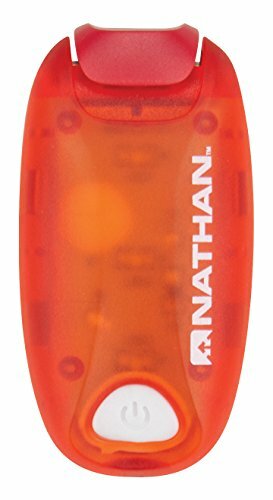 I’ve found that the most flexible and easiest to use ways to illuminate my body are these Nathan Strobe lights. Last night while running, a biker coming up behind complimented me on how bright and easy to see the lights were. He said, “Thanks for making it so easy to safe out here.” They are $10 and clip anywhere you need them. I put one on the back of my hat or headlamp and one on the back of my hydration vest. I put a third one on my front and set them all to strobe. In short, you can put them anywhere you need or want depending on what you’re wearing or your personal preference. The batteries are replaceable but at $10, you could likely just get new ones after 100 hours when the batteries run out. Second, you need to see where you’re going. That means you’ll want some sort of headlamp. I recently picked up the Petzl Tikka RXP headlamp and have found its auto-sensing features and comfort to be absolutely perfect. The headlamp automatically adjusts the brightness of the beam based on the ambient light. This is great for the early morning and late evening runs I mentioned because it means that as the sun comes up or goes down, your headlamp can automatically adjust. There is an easy-to-access button that can switch the headlamp to a constant brightness which might be handy if you’re on a particularly tricky stretch or just want consistent brightness. For camping or other users, the headlamp has a red lamp that can help preserve your night vision for when you might be hiking or reading in the dark. The strap is adjustable and I’ve found it to be very comfortable on my large head. The part that sits on your forehead is soft enough to not hurt your head but it’s stiff enough to prevent bouncing. The battery is rechargeable with a power indicator on the side of the lamp. The whole kit can be adjusted via a piece of software and the included USB cable but I haven’t dug into that feature much. Some runners like to supplement this with a hand-held flashlight. I’ve found that to be unnecessary on most paved surfaces but it can be helpful if you’re out on a trail with lots of tree cover or that’s very technical. Lastly, you’re going to need to think about your diet and your sleep. As the days get shorter, our bodies react by changing our appetite and our need for sleep. If you’re up early or out late taxing your body with running, you’ll want to be cognizant of when you’re eating and making sure that you are getting enough sleep. This means not cramming in hours of work or chores or TV in the evenings after your run. Eat, maybe read a bit, and then get in bed. Your body will thank you. Running in the dark can be decidedly peaceful because the distractions of the world can slip away more readily than they typically do when you’re running. It can also be dangerous because you are hard to see and you are not going to see every dip or rise in the pavement or the trail. So, think about slowing down and maybe getting rid of the headphones so you can be more aware of what the night holds. 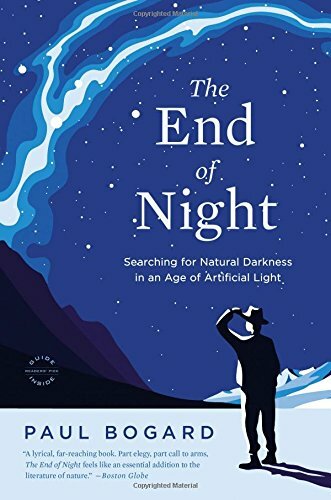 If you’re interested in how are nights are changed from the nights our parents and grandparents knew, I highly recommend Paul Bogard’s book The End of Night. It examines the role of light pollution and how it has affected not just astronomers or scientists but our health, our society, and our connection to our world. Embrace the night and all the mysteries that lie therein. You might learn to love night running.